CSUN coach Jason Flowers could only sit in his chair and stare at the sight he was witnessing in Saturday’s Warner Center Marriott Thanksgiving Classic at the Matadome. Flowers’ defense was stiff. Harvard had the ball in constant rotation, and then guard Katie Benzen hit a 3-pointer after a late contest by Northridge’s Meghann Henderson. One by one the shots fell from all angles while CSUN looked too busy debating about who should guard who. At times it did not appear to be the same CSUN team that had won smoothly over the Washington State Cougars just a night before. The Cougars’ offense initially torched CSUN. After struggling to handle early ball rotation, the Matadors shifted into a more physical man to man defense and held the Cougars to only 22 second half points to win its home opener 65-52 at the Warner Marriott Thanksgiving Classic semifinals. Senior Channon Fluker had 24 points and 14 rebounds en route to her 59th career double-double. After struggling to find her shot, CSUN went to their Big West player of the Year in the post more often and Fluker had greater success, shooting 6-of-9 from the field in the second half. “I’m not sure if it was me having problems shooting as much as it was just not going in,” Fluker said. “But my team was able to switch things up a bit and we definitely did a better job of controlling the outcome in the second half. The win gave CSUN its first win in the classic over Washington State. The Cougars (1-4) were led by Chanelle Molina who had 20 points. Washington State shot 9-of-18 in the first quarter and led 19-10. 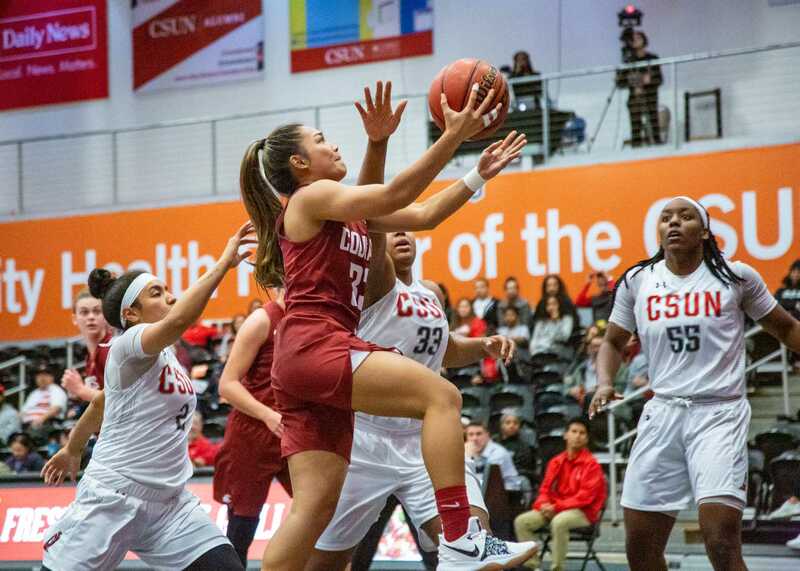 CSUN managed to rally behind fifth year senior Serafina Maulupe, who had four of her 13 points in the second quarter. 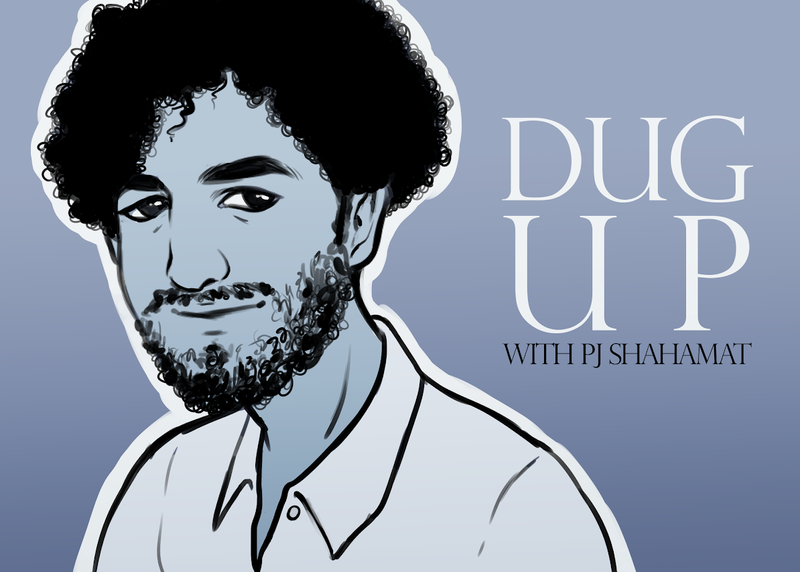 Maulupe has seen a resurgence after missing all of last season with a Torn ACL. 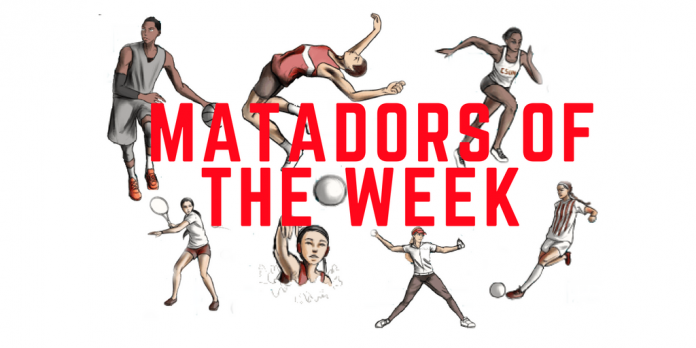 Maulupe is averaging 12 points per game and adds another element of depth to the Matadors who come in this year as one of the more balanced teams in the Big West. The next night, Northridge found itself in trouble. Harvard dismantled CSUN by making 12 three-pointers and trounced the Matadors on their home court 75-55. CSUN (2-4) was led by De’Jionae Calloway, who came off the bench and led the team with 19 points. Calloway helped spur a late run in the first half after her team trailed by 19 points in the second quarter. She finished with 13 points in the period including a three-pointer at the buzzer and the Matadors trailed 36-26 at halftime. 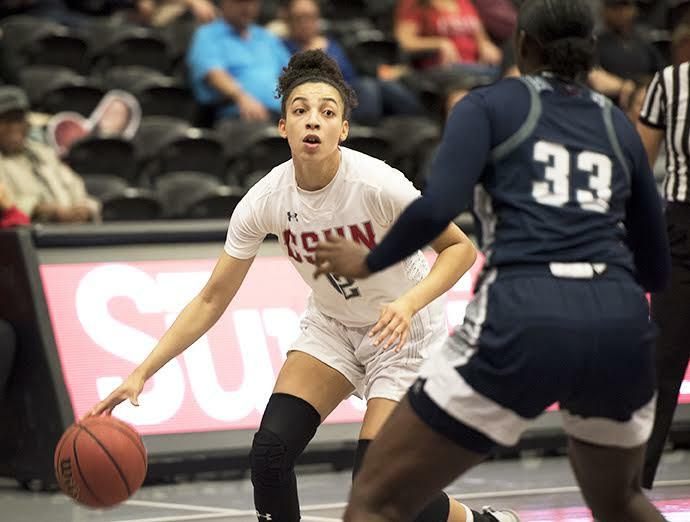 It was Calloway’s biggest game for CSUN after transferring from Texas State and sitting out the entire 2017-18 season. 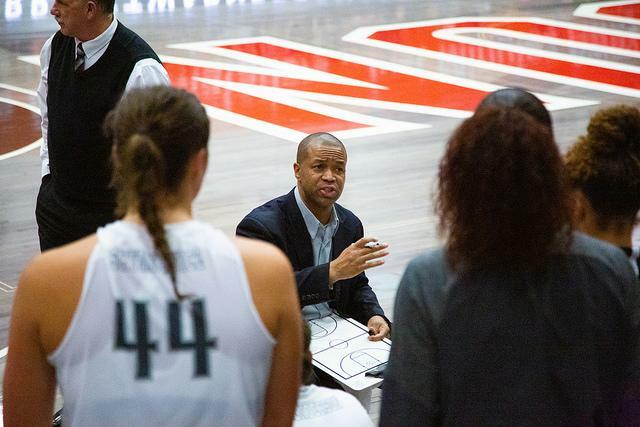 Calloway and her ability to attack the basket with her left hand gave the Matadors some momentum before it ultimately slipped away in the third quarter. Calloway finished 7-of-14 shooting but the rest of her team combined to shoot just 18.8 percent from the field. 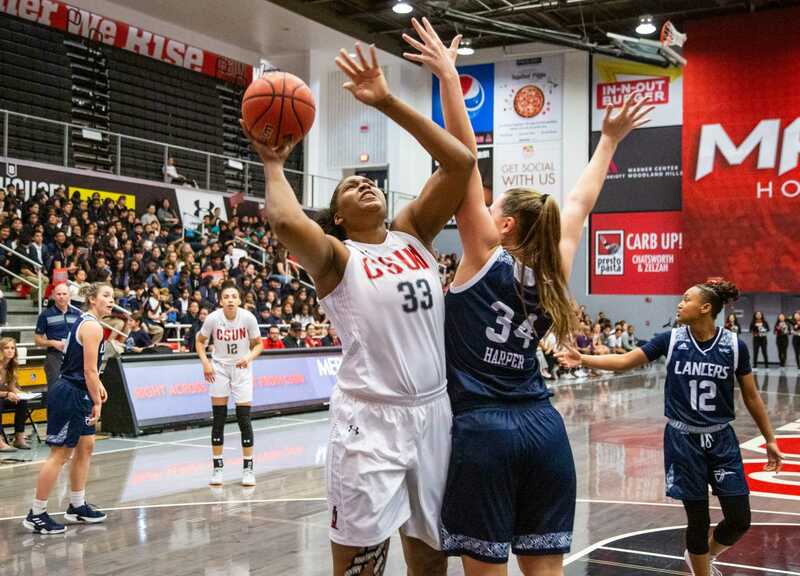 CSUN senior and defending Big West player of the year Channon Fluker scored nine points, her lowest point total since a loss against Long Beach State last season. CSUN will face Cal Baptist at home Wednesday before heading to north to play Santa Clara and Cal next week. Calloway is hoping to turn the bitterness of her team’s first home loss into an advantage.